Will I need a permit or visa to work in the UAE? As a foreign worker in the UAE you will need to secure an entry visa and work permit before you arrive. You will also be required to apply for a residency permit as soon as you arrive. To gain the work permit you will need to find a sponsor, usually this will be in the form of your employer. Will an offshore account be beneficial? The UAE has very favourable tax schemes however an offshore account may still be beneficial for your home finances. When does the UAE tax year start? UAE tax year starts on 1 July. How does the UAE tax system work? The UAE is a nil-tax haven so you won’t have to pay any personal taxes. There are a few local charges payable to Dubai Municipality. Car owners may have to pay for vehicle registration. If making money from property, there is a 10 percent tax on rental income. Finally there are also fees payable for renting stalls in UAE market places. No, people in the UAE are not required to fill out tax returns. Will I have to pay Capital Gains tax in the UAE? No, there is no Capital Gains tax in the UAE. 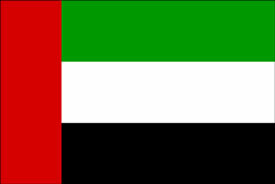 There is currently no VAT or sales tax in the UAE but it is thought that VAT may soon be introduced. Are there any social security charges? Foreign workers will not have to pay any social security.